Jane Eyre, a penniless orphan, is engaged as governess at Thornfield Hall by the mysterious Mr Rochester. Her integrity and independence are tested to the limit as their love for each other grows, and the secrets of Mr Rochester's past are revealed. 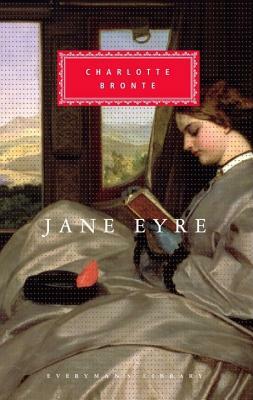 Charlotte Brontë’s novel about the passionate love between Jane Eyre, a young girl alone in the world, and the rich, brilliant, domineering Rochester has, ever since its publication in 1847, enthralled every kind of reader, from the most critical and cultivated to the youngest and most unabashedly romantic. It lives as one of the great triumphs of storytelling and as a moving affirmation of the prerogatives of the heart in the face of disappointment and misfortune. Jane Eyre has enjoyed huge popularity since first publication, and its success owes much to its exceptional emotional power. Charlotte Brontë (1816-1855), a poor clergyman’s daughter from Yorkshire, England, worked as a teacher and governess before her publication of Jane Eyre won her instant fame. She went on to produce three more novels before dying at the age of thirty-eight.